OpenCaching North America is an alternative Geocaching website, so this Geocaching product certainly fits the bill for a blog post. Above you see the four handheld GPS units suitable for Geocaching use manufactured by BHC Navigation Co., Ltd., of Zhongguancun, China (suburban Beijing), which is considered the Chinese Silicon Valley. There are rumors among GPS bloggers that BHC is interested in the North American market, and the popularity of Geocaching is the most likely reason for that. After all, they have an English language web site. Which has surprisingly few translation and grammar errors, although it is authored in HTML, uncommon in this day and age. By all accounts, this English website appeared in the later half of 2013. As of press time, we have not heard back from BHCnav as far as interviewing anyone from the company, or even (probably unrealistic) hopes of getting our hands on one of the units, but decided to do a post about them anyways, as we’re confident very very few Geocachers knew of their existence. Who knows, if we hear back, there may be another post in the future. BHCnav was legally registered in Beijing in 2004, and the four handheld units seen above, the NAVA series, were launched in October 2010. They claim on the about us page on their website to have over 40% of the Chinese handheld GPS market. Pictured from right to left are the NAVA 200 (Gold), the NAVA 300 (Light Gray), the NAVA 400 (Green), and the NAVA 600 (Dark Gray). Their model numbers increase from least expensive to most expensive, not unlike the Explorist Series from Magellan, for example. You can see detailed information for each unit by going to http://www.bhcnav.com/navagps.html on their site, and clicking on the name or image of one of the units. You will then find yourself on a web page for each individual unit, with tabs for “Overview”, “Feature”, “Specs”, “In the Box”, “Accessories”, and “Maps & Software”.You can also find the NAVA Handheld GPS brochure in .pdf format, which gives an overview of the four units, and a comparison. Looking at the specs, these units don’t seem much different than the low to mid priced Garmin or Magellan units! All four have a color display, come loaded with a worldwide base map, and claim an accuracy of 3-7 Metres (1-3 Metres with the SBAS (satellite based augmentation system) of WAAS in North Amercia, EGNOS in Europe, or MSAS in Asia). They also come with a BHCnav software CD, a USB cable, and a neck lanyard. They all support paperless Geocaching (3,000 Waypoints), as well as 60 routes with 6,000 points, and 50 tracks with 25,000 points, the points in the later two being total, not per route or track. Additionally, the higher priced NAVA 400 and NAVA 600 will accept a micro SD card up to 4 GB in size. The most expensive unit, the NAVA 600, is the only one with a 3 axis electronic compass, the others having differential compasses. None of the units have a touch screen. ROVE, shown above, was brought to our attention here at the Opencaching North America blog on April 4th, 2013 via a press release on PRweb.com that came through on a Google news alert for the word Geocaching. ROVE is a GPS accessory that instantly shares trail maps across social networks like Twitter and Facebook. 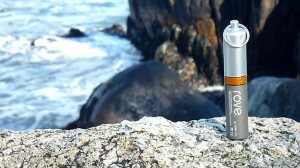 ROVE pulls multiple geocaches from geocaching.com right to your GPS, anywhere there is cellular or WiFi service. Advanced functionality includes tracking distance, time, elevation and speed for accurate trail maps. Part two of two, You can find part one here. Since we at the world-wide Opencaching Network, which includes Opencaching North America, are often confused with Garmin’s Opencaching.com, I figured a blog post comparing the two listing services was in order early on in the history of this blog. 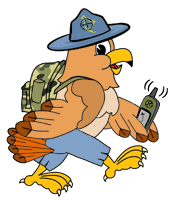 This blog post is highly influenced by a post fellow OpencachingNA Admin Dudley Grunt made to his local Geocaching forum in July 2012, and he posted links to that post at the forums of all the U.S. based alternative Geocaching websites. I asked him if he wanted to come on and do a guest post, but he was OK with my using it as reference material, and I promised to not to plagiarize it too much!! Garmin: Like Groundspeak, the Garmin site is run by a corporation with relatively significant money to invest in the site. OCNA: The site is funded and run on a fully volunteer basis, essentially, as a not-for-profit entity. We pay for our three domain names and web hosting (at the well-known website host Rackspace.com) out of our pockets. Garmin: Strongly encouraged. With a few mouse clicks, you can import thousands of hides or finds. Often runs contests encouraging listing caches on their website. There is no direct way to tell whether or not a cache is cross listed, and no way to filter for unique hides to their site in searches. OCNA: Permitted, but unique hides are preferred. The very first page in the cache submission process contains text that informs the hider that we accept cross listings, but prefer unique caches. The cache submission page contains fields to link to sites the cache may be cross listed on. We have a special attribute “OC.US ONLY” available for caches that ARE unique to the site. It is possible to filter searches to show only the unique hides via our “advanced search”.Currently, about 55% of our listings have the “OCUS ONLY” attribute, and we believe approximately 75% of the listings are unique. Garmin: None, per se. They have “Peer Reviewing”. The site members vote up or down on caches. The blog author has not participated in this, but from reading their forums, it seems to be often problematic. OCNA: Caches reviewed by three site admins (Mr.Yuck, DudleyGrunt, NativTxn), who treat our guidelines AS guidelines and can work with individual caches/cachers to approve things that might not be 100% within the listed guidelines. Caches are generally reviewed & published the same day. Since the blog author, Mr.Yuck, is a newbie admin, he has not reviewed any caches to date. Garmin: Traditional, Multi, Puzzle, Virtual. OCNA: Traditional, Multi, Puzzle, Virtual also. But we also list Moving, Webcam, BIT Caches, Events, MP3, Guest book and Unknown (a catch all). Both sites are completely free, with all features available to all users. Garmin: Finders can give caches a rating based on “Awesomeness”. Garmin uses a sliding scale from 1.0 to 5.0 (in 0.1 increments – that’s 49 possibilities for each). OCNA: Cache finders can rate each cache on a 5 point scale and can give a “Recommendation” to 1 out of every 10 caches they find (this is similar to, but predates Groundpeak’s “Favorite Points”). A few notes first, I hope to post to this blog at least once a week, but I’m currently spending a lot of my free time educating myself with the OpencachingNA Linux server. Boy, is that a learning experience. It’s only been eight days since the first post. Note that the “Latest Geocaches” and “Latest Log Entries” to the right of this post are from an RSS feed, and should be updated every time you view this page. As well as our Twitter feed too, of course. OK, why are there two totally different alternative Geocaching entities calling themselves Opencaching? This short answer is, I don’t know, ask Garmin! We, Opencaching North America, are part of the world-wide Opencaching network, established in 2005 with Opencaching.de There are currently nine Opencaching nodes, as we call them, that are part of this network. Opencaching.jp (Japan) has gone dark, and Opencaching.es (Spain) really just points to the German website, Opencaching.de. You can view them all at Opencaching.eu All characterized by their distinctive white and blue color scheme. Garmin came along, and purchased the domain name Opencaching.com in September 2010, and launched their website in early December, 2010. But that’s not the whole story! The domain name Opencaching.com was originally purchased by “some guy named Hank” on September 15th, 2003. I have no idea who he was, or his Geocaching handle, because he has been obliterated from the WHOIS registry, being the original owner of an expired, and for several years vacant and for sale, domain name. Thanks to the Wayback Machine from archive.org we can see several snapshots of how his website looked from September 2003 until late December 2005, when he apparently decided he was going to throw in the towel, and the original Opencaching.com was never developed as an alternative to Geocaching.com. I’m not sure exactly when “Hank” let the domain name expire, but Another snapshot of Opencaching.com, from May 2010, shows it with a classic “domain for sale” placer page. As previously mentioned, the domain name was then purchased by Garmin in September 2010, and Opie the Awesome (blue) Squirrel was born. The next blog post, which I can tell you won’t take 8 days, as I was going to make it one post, but decided to make it two, will be “”Our” Opencaching vs Garmin’s Opencaching, a comparison of sorts”. Then after that, we have a couple interviews lined up, and possibly our first guest blog post.